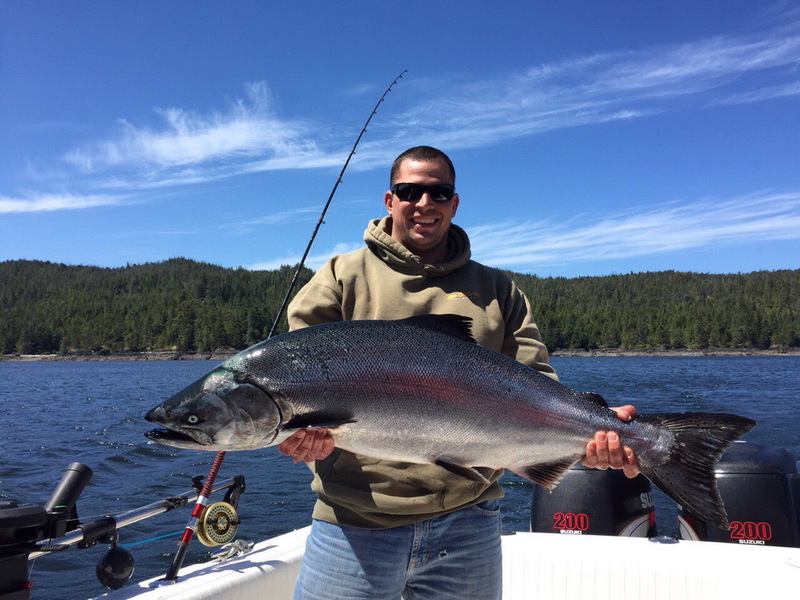 Wicked Salmon is offering a 4 Night/3 Day vacation fishing trip this August! With 2016 officially a thing of the past, we are barreling very quickly towards prime fishing season! Now is the perfect time to start planning your next salmon fishing and sight-seeing adventure with Wicked Salmon. Available only August 1-15, Wicked Salmon’s new Outpost trips give you the opportunity to fish from unparalleled, pristine grounds up the coast in some of BC’s still (mostly) undiscovered waters. Very few of even the most enthusiastic fishermen and women have discovered the joy of fishing the coastal waters that Wicked Salmon will be taking to you! Arriving by float plane from Port Hardy B.C, you will be greeted by Wicked Salmon Charters’ owner/operator, Wade Dayley and whisked away to the Outpost mother ship, which will be home during your 4 night, 3 day adventure. This is your rare opportunity to catch a larger breed of Chinook Salmon, which is becoming increasingly uncommon for avid anglers to find on the BC Coast. The ultimate in relaxation, enjoy gourmet cuisine in a setting like no other while fishing in some of the world’s richest fishing grounds, where other water traffic is few and far between. *In an effort to protect this breed of Chinook Salmon, it is mandatory that we release any fish over 30 pounds. This ensures that these large Chinook get the opportunity to get to the river and spawn. Call Wade and Shannon to book your Chinook fishing adventure!